D. Glass Associates (DGA) can assist academic institutions (universities, medical centers and research institutions) that are not large enough to maintain full-time tech transfer staff, by handling many tech transfer functions on a part-time basis. We can also help licensing offices that are temporarily shorthanded due to staff turnover, maternity/paternity leave, etc. in assessing, marketing and licensing inventions and in negotiating a variety of tech transfer agreements. DGA can help your institution in a number of ways. We can arrange to spend an agreed-upon number of hours a week working in your offices, handling a variety of ongoing tech transfer functions, being available onsite to your investigators and other staff. Alternatively, we could handle project-by-project work on an as-needed basis, working from your office or ours. DGA is also available for invention assessments and limited patentability searches, commercialization assessments, and special projects. Commercial assessments of new inventions. Preparation of marketing materials for new inventions, identify and contact potential corporate licensees. Draft and negotiate CDAs, license and option agreements for technologies to be licensed. Negotiate, or assist in negotiation of, sponsored research agreements, clinical trial agreements, material transfer agreements and other industry contracts. Monitor scientific developments at select laboratories to identify patentable inventions. Review and assess invention disclosures; recommend courses of action. Work with outside attorneys to review draft patent applications and facilitate attorney-inventor interactions. Help establish and implement intellectual property policies. Maintain databases of patent matters and track relevant deadlines. Provide strategic guidance and direction for ongoing patent prosecution. 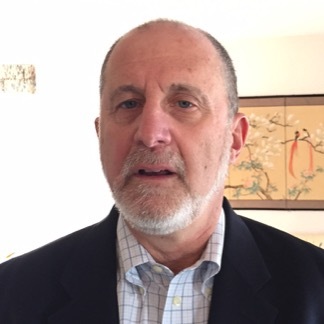 David Glass has over 30 years experience with biotechnology intellectual property protection, having managed patent programs in academia and industry. Significant experience negotiating license, option, sponsored research agreements, and related agreements on behalf of Harvard-affiliated teaching hospitals and within the University of Massachusetts system. Dr. Glass was awarded the Certified Licensing Professional (CLP)TM certification in July 2008 and the Registered Technology Transfer Professional (RTTP) certification in November 2013.